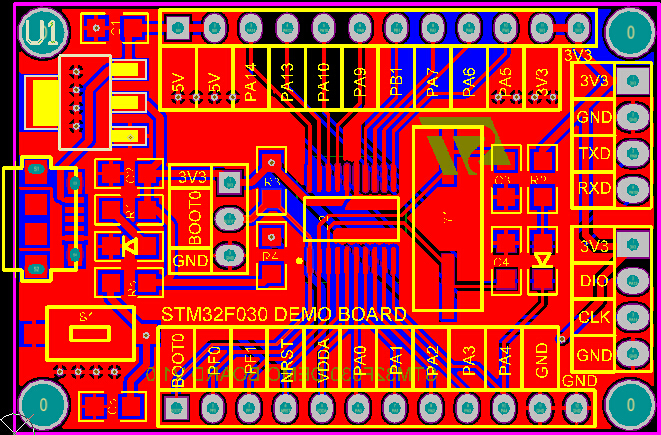 The STM32F030F4P6 boardis a high-speed embedded development board which offers very great performance at less power consumption. 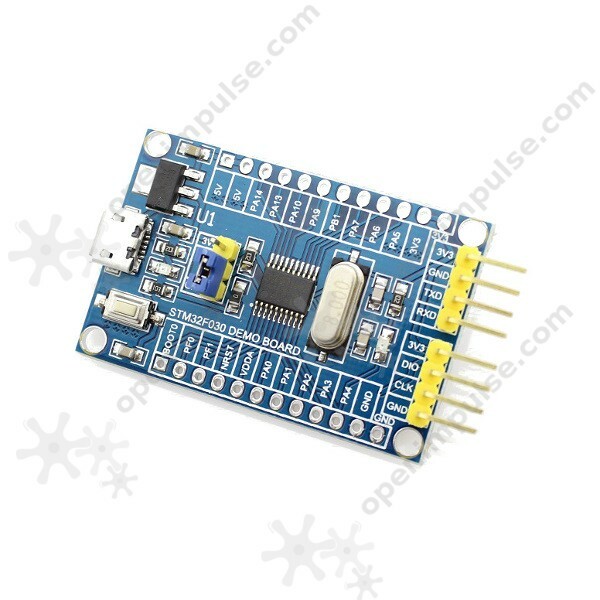 When in running mode, maximum power consumption is 22 mA, and 175 uA. 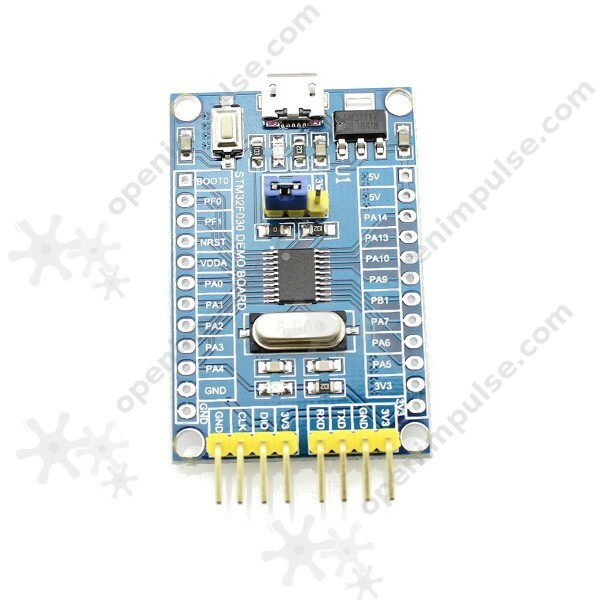 This board features 5.5 V to 3.3 V regulator, RESET button, onboard LED for power indication, jumper BOOT option, output pins and mounted pinhead specifically for ISP connection or SWD. 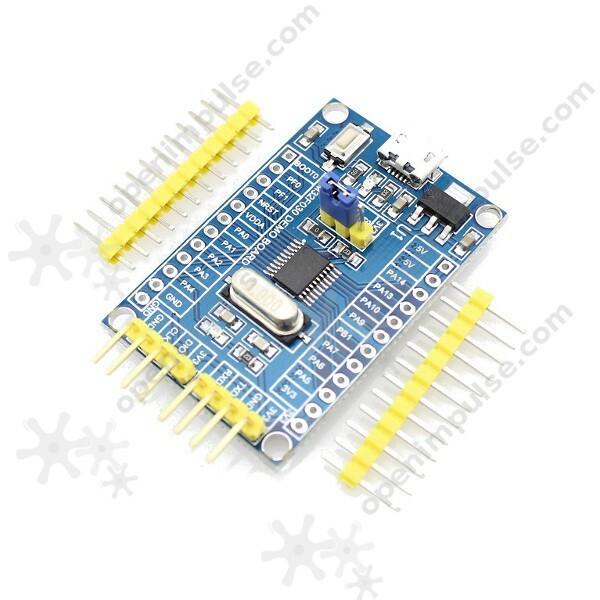 This board also integrates micro USB power supply interface and ISP/SWD programming/debugging interface. 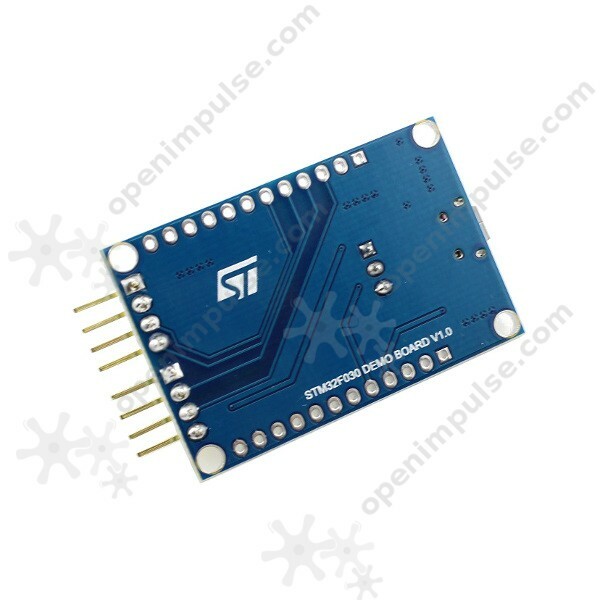 These features make it ideal for a wide range of applications which need a relatively high processing power and more communication capabilities.